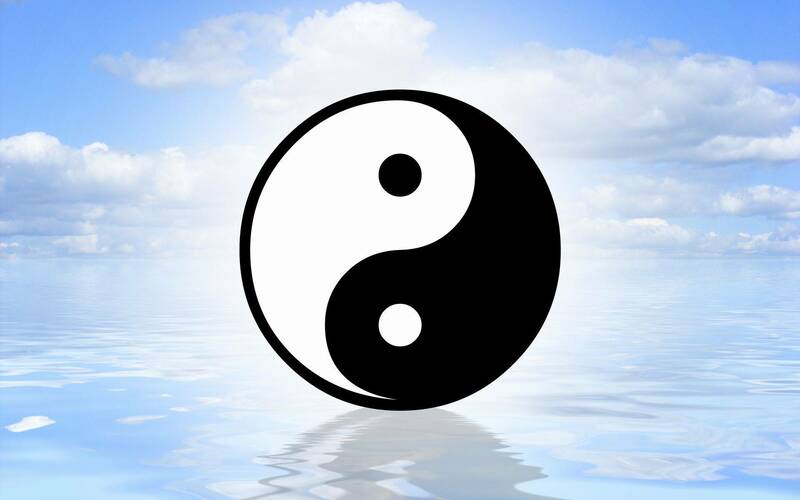 Ip Man was the Wing Chun expert who brought Wing Chun out of the mystic and in to the real world and was also the fellow that taught Bruce Lee 'So this is a biopic of his life and from viewing this film 'it was a exciting and dangerous one at that. Now Ip Man was born in Foshan in China in 1893 ,he started training in Wing Chun at the age of 13 under his teacher Chan Wah -Shun ,but as his teacher was very old most of his training was under his masters disciple Ng Chung-Sok ,three years into his training Chan Wah-Shun died but his dying wish was for Ng Chung-Sok to continue training Ip.this film starts when Ip Man is older and an established martial artist living back in Foshan after being on travels and living in Hong Kong. It's also the time when war has broke out and The Japanese have invaded China and placed it under Imperial Rule.Now Foshan is a bereft with Martial art schools and is famous for it's arts and people come to Challenge these masters all the time . Ip Man does not run a school and lives a quite life with his wife and child and teaches his kUNG Fu to just a few friends .But when a upstart martial artist Jin( here played by Fan Siu Wong) and his gang roam in to town and start beating up all the local school masters and proclaiming they are the best ,one local replies they have not fought any one of any worth ,fight Ip Man and you will see the force of Foshan Kung Fu. Well the gang storm Ip Man's house and challenge him,where he refuses at first which only angers his Aggressors .but after his wife is verbally abused she tells Ip Man not to break the Furniture .You know at this point you are going to be amazed as Donnie as Ip Man unleashes his Wing Chun in defense of the Jin's attack.This fight sets you up for a film and story that will grip you and hold tight till the end. Upon beating Jin Ip Man is a hero to the town and much admiration comes his way,But now it is 1937 and The Japanese have arrived and Confiscated property all over Foshan including Ip Man's house who is forced to live in a derelict hut ,and being a proud man won't accept charity even though his good friend Zhou here played by A firm favorite of mine Simon Yam who runs a cotton mill.He finds work working the coal mines instead of getting help from Zhou where he meets up with old friends and martial artists ,one named Lin who tells Ip of his brothers disappearance . Now when a general arrives who is a fanatical martial artist and recruits fighters from the mines for matches to be held within his own training ground .Basically you fight if you win you get a bag of rice for your family.But when Lin does not return from a match Ip starts to ask questions about his being from fellow Foshan police officer Li Zhao who is now a interpreter fro the Japanese,he gets a blank and the only way to find out is to fight in the ring ,prior to entering Ip finds out Lin is dead which enrages him and when he is summoned to fight ,Ip requests to fight Ten Men from the Generals fighters,Which he dispatches quickly and with no remorse . 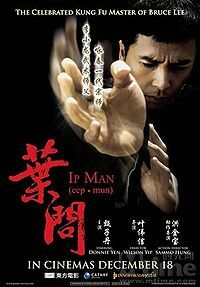 It's from here that you start to understand Ip Man's story as a hero of the Chinese people and Donnies' portrayal of him is Top notch along with his showcase of Wing Chun.Upon leaving the ring Ip Man refuses his rice and takes with him the blood splatted rice bag of a earlier competitor and a piece of potato he carried. The General asks Ip to return via Li Zhao interpretation but what Ip says is not relayed back to the General as such and when Ip does not return The general sends people looking for him which results in Ip assaulting some Japanese guards in defense of his wife and son,so now he has to hide from them and takes refuge with Li Zhao's help .Meanwhile his friend at the cotton mill has trouble with Jin and Ip agrees to teach the work force Wing Chun.This results in trouble with Jin and the Japanese finding Ip who has to face the General .I won't go to far in to this as if you have not seen the film it's not fair . From a film point of view this is a class production that captures Ip Man's life at this time , as you would have heard this film only takes you up to before Ip goes to Hong Kong ,another film is in the works.The fighting is to such a high caliber and the sets give a good view of the hardships he went through along with all the other Chinese people and praise must go to Yip Wai Shun the director for his vision as with his previous films SPL and Dragon Tiger Gate..I can honestly say i sat there after the film film had finished for ten minutes in awe of it all .